Will pick 4 colonies from each (H2B, LOV) to see if anything worked. 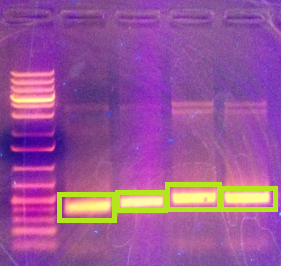 There were two samples made of each PCR reaction. The two from the H2B are shown on the left, and the two from the LOV are shown on the right.